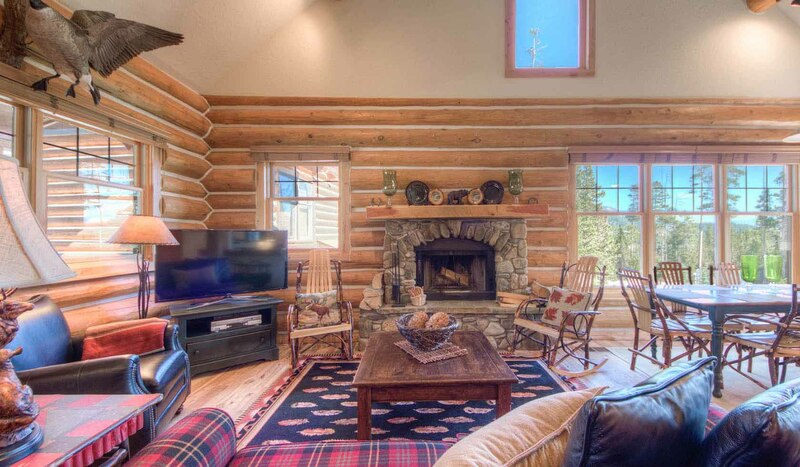 4 Bedrooms, 3 Bathrooms, Occupancy 12, Ski In and Ski Out Access This Ponderosa Log Cabin is approximately 2600 square feet and is located only 25 yards from the White Otter Ski Run, making this a true Ski/in - Ski/out location. The open kitchen/living space with an enlarged deck provide spectacular views of the Spanish Peaks. Relax by the wood-burning fireplace or in the private hot tub after a great day on the slopes. In summer you are just minutes from fly fishing, river rafting, golf, hiking, mountain biking, horseback riding and more. Yellowstone National Park and amazing wildlife viewing is only 45 minutes from your door. This is truly nature`s playground! This cabin is the perfect starting and ending point for your mountain adventures.